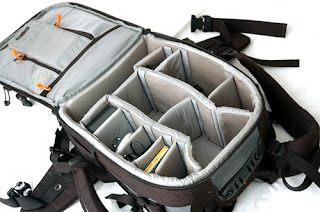 If you are looking for something to carry around your DSLR (tripod and laptop?!) every day- a backpack is all you should think of (according to me :) ). After some searching couple of years back I picked a LowePro Vertex 200 AW. A tank in other words. Here it is with my Manfrotto tripod attached to it. Put short- I had it with me almost every day ever since I bought it. 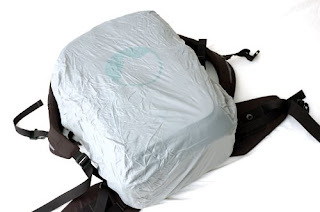 That means a lot already, but if you're still curious, jump in to the full post to see more details on the backpack. Like I said before- it's like a tank- big, spacious and sturdy. I don't have too much equipment, so everything fits in perfectly well and there still is room for a lunchbox and a Nikkor 70-200 (some time in far future maybe?! :) ). Anyhow, today it fits all of my filters, DIY grid spots, batteries, chargers, flash and the good old D70s kit. 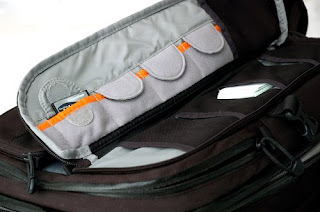 It has gazilions of small pockets to hold the small stuff like memory cards, remote etc. 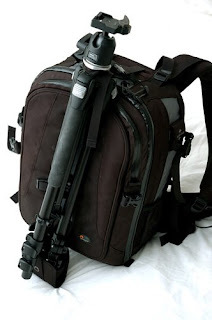 And with the help of removable tripod holder I can carry around my tripod on it too (like in first picture). 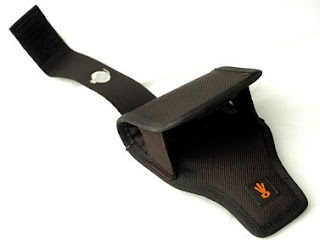 It is also possible to attach the tripod to any of the sides of the backpack, though in that case it feels out of balance. One minus is that you need to always unhook the tripod to get inside... Well, win some, loose some... I carry the tripod in hand after initial unpack anyway. Best feature of all- this baby is weather (water) proof! I was out in pouring rain for 2 hours and it did not manage to soke through! The zippers are covered with latex and all of the material is holiding back the water quite well. In case the rain gets out of hand and you are nuts enough not to go home yet, there is a rain cover hidden on the bottom. 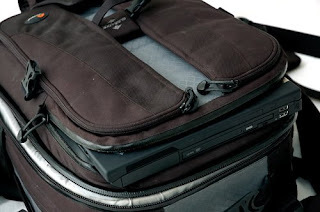 If there is still strength left in those shoulders you can even squeeze a big laptop into the backpack. Then the whole package is about 10Kg, but still it is quite comfy after you get all the straps adjusted according to yourself. 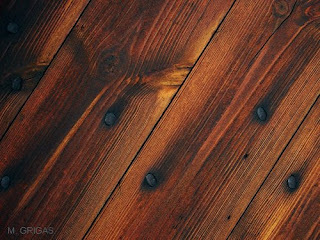 The major cons of Vertex 200 are similar as pros- it's size and weight. It is hard to take it with you while flying in smaller planes, also it is a bit heavy in its own weight. McNallys new book is almost here! Joy to the world! Sitting here and waiting for a new notification mail from the on-line bookstore. Having in mind that his previous book - The Moment It Clicks - has set really high standards for this type of stuff, I really do have high hopes for the new book. Any weather is good weather; any light is good light, apparently. Today the sky was all muddy and overcast, creating perfect light to look for details. 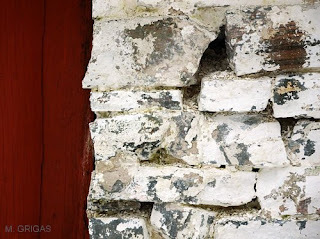 A couple of shots from an open air museum (Forngården) in Trollhättan, exploring old wood and brick textures.